Tales from a Man in the Machine. | AreWeRobots? Tales from a Man in the Machine. It’s what gets us out of bed in the morning. 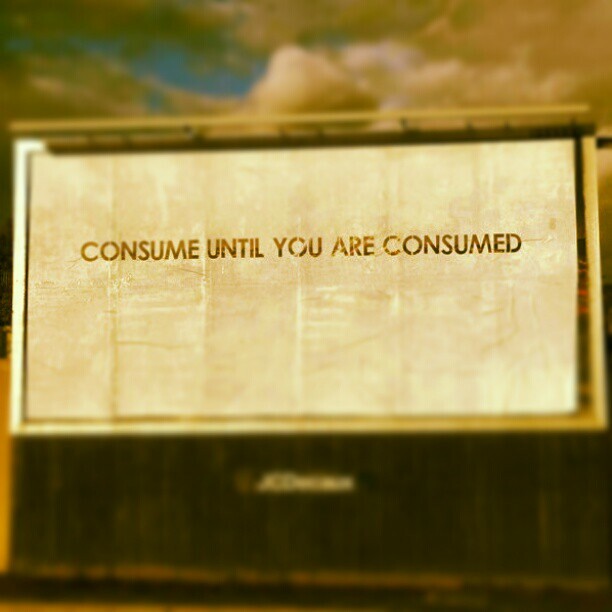 It’s what keeps us going to our meaningless jobs, the reason we consume in ever increasing quantities. It ‘s the reason why we can’t get along. Why we look upon our peers as rivals in competing towards a finishing line that doesn’t exist. It is all we know. It is our society. It is our Democratic, Socialist, Capitalist, Consumptionalist society. It is the machine. The machine, like the generalised term ‘Democracy’, has many façades. You will hear it called the rat race, the bubble, the box or big brother amongst others. But call it what you wish, it is quite simply, the spectacle of ‘modern’ society through which we choose to define ourselves, those around us and the world in which we live. It has become the meaning to our existence. A lot of you have heard it all before. The common gripes of groups such as the occupy movement have been well documented. If you’re reading this blog, you’re probably only still here because you share some understanding of the issues that you perceive I will highlight. 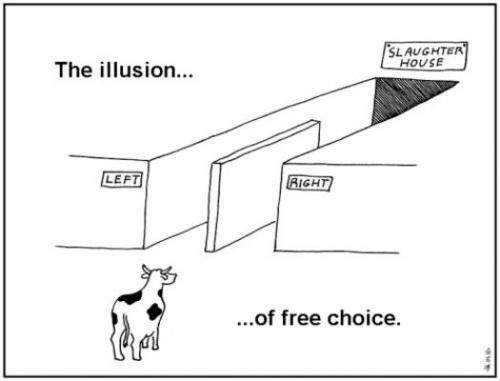 Like how there is currently an unjustified divide between the architects of society and those who just play the game. A divide that exists not only in terms of wealth, but in power, in knowledge and in opportunities. Although this is all true,what I am trying to unearth is not how the socio-economic environment around us changed, but how we, human beings have changed. Power, Knowledge, Freedom, Justice and Truth were virtues that used to be valued highly by humans until we gave them up. But you have to understand that they were never taken away from us by force. The reason why power structures are the way they are today is because we gave away these facets of human life freely and willingly. And the reason we did so was because our faces were turned the other way, towards the bright lights of the rat race and towards competing with one another to consume as much as possible while leaving all that actually matters in the hands of imbeciles and buffoons. One of the biggest lies on the face of the earth is telling humans that they can be anything they want to be. When in reality, we already know what the majority of humans want to be. The term ‘anything’ has become defined by our society and its definition usually has objectives that can only be achieved within the machine itself. The fact the lie is told to every child today, however, says more about us than it does about the machine which would like us to believe it. Humans, in the machine have naturally become machines themselves.